Find My Workspace lists over 95% of the business centres market in Bicester. Simply click Request Quote to check pricing for one office, or Add to Basket for multiple offices. A new centre that would suit a wide range of start ups and established businesses. As the centre is unfurnished, it offers up an array of opportunities and great flexibility in terms of designing you office that is fully customised to suit the business you desire. The centre is very spacious and offers a number of rooms that hold up to five people, as well as smaller rooms that would suit start ups and companies looking to save money on space. 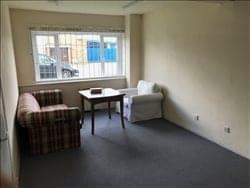 Each office is well maintained and has access to various bathrooms as well as a recently refurbished kitchen. Large windows allow for natural light as well as good views looking out on to the Bicester area. Extra storage is not an issue as the centre comes with a number of additional units. 24 hour security means any equipment or property left behind will be will be well protected. On site parking is available and the centre is connected with high speed WIFI.